Showcase shimmering scales on your next mermaid swim with iridescent body decals! These temporary tattoos include two sheets of templates, or the option to customize to your liking! 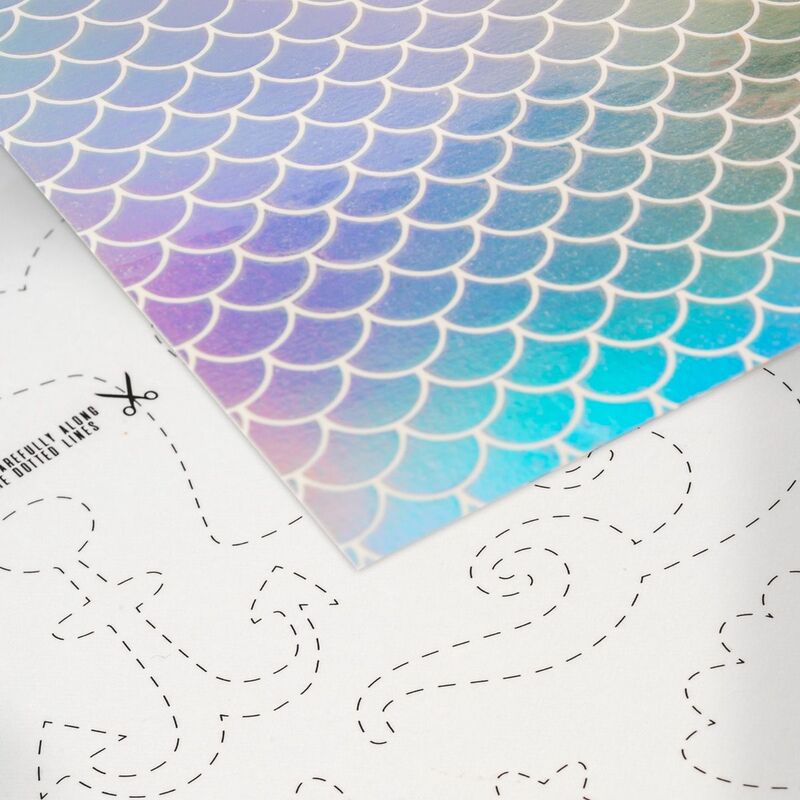 Leave no question as to your mermaid status with these iridescent body decals featuring a simple fish-scale design that shimmers in the light! Choose where you’d like your scales to show most, then follow the easy instructions included in this set to make a splash at the pool or beach. This easy-to-apply set includes two sheets of temporary tattoos that transfer to the skin with moderate pressure and a damp cloth. Warning: Do not apply to sensitive skin, broken skin, and near eyes or if you are allergic to adhesive. Please test tattoo before use on a discrete location.